Magdelena zeros in on the truth, with a comforting voice and wise understanding of spiritual principles governing your situation. Strong, Focused, Caring. Thanks for the reassurance. Can’t wait to give to the news of reunion! Thanks for the chat! And dealing with all my questions! Much appreciated! And very helpful! Thank you!! Very reassuring, calming, nice and gifted! Always a pleasure talking with you! Blessings! Thank you so much, very generous, fun but serious advisor. She is fearless. I really enjoy to speak to you, always helpful, long time. 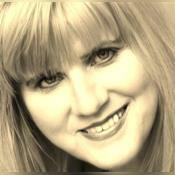 Magdelena has conducted over 10,000 hours of Psychic Readings in the Past Nine Years. She comes from the Russian Wise Woman Tradition and first learned the Psychic arts from her Mother. You'll enjoy the comfort of her caring voice and the insights she gains from her clairvoyance. Have your questions ready and tell her up front IF YOU DO NOT WANT COUNSELING. She will show you YOUR next step. Allow her to indicate recurring patterns in your life, that no longer serve you, as she points you in the direction of future happiness and prosperity in all your relationships. Give yourself the gift of a new perspective by speaking to Magdelena now. PLEASE USE THE "ARRANGE A CALL" FEATURE WHEN YOU DO NOT SEE MAGDELENA ONLINE. SHE'LL BE WATCHING FOR YOU. And remember that it is against her policy and Keen's policy to answer questions regarding pregnancy, medical and legal concerns, as well as questions surrounding the issues of death. Magdelena has been a user of Keen since 2009. Getting Love & Relationships advice from Magdelena through www.keen.com is safe, secure and confidential.